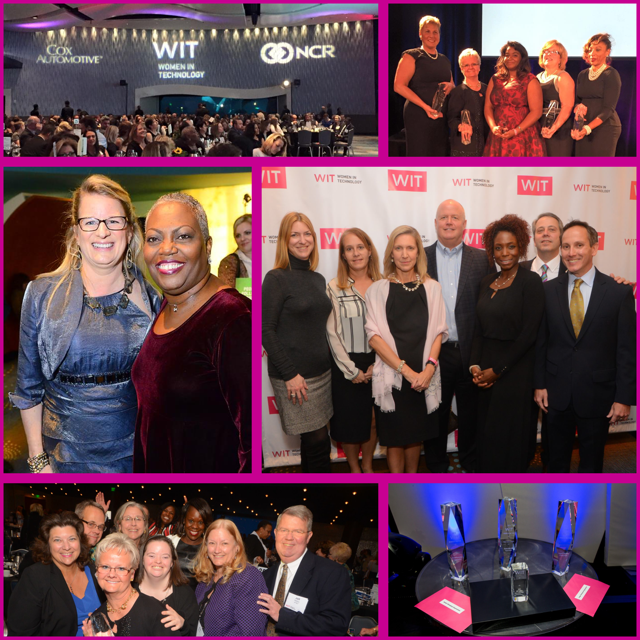 Missed the November 2017 edition of WIT eNews? View all the details here! Join us at WIT’S 2017 Women of the Year Awards! Join WIT as we celebrate 25 years of supporting young girls and women in STEAM, from the classroom to the boardroom! WIT’s annual Women of the Year Awards presented by NCR celebrates women who are actively engaged in Georgia’s STEAM community with roles in Non-Profit Organizations, Small/Emerging Organizations, Medium/Mid-Size Organizations & Educational Institutions, and Large/Enterprise Organizations. We will also celebrate Girl of the Year! The 2017 Women of the Year Awards will take place on Thursday, November 16 at the Georgia Aquarium. Click here to secure a sponsorship, or purchase an individual ticket! Meet the 2017 Woman of the Year finalist here. Click here to view WIT’s 2017 Girl of the Year finalists! 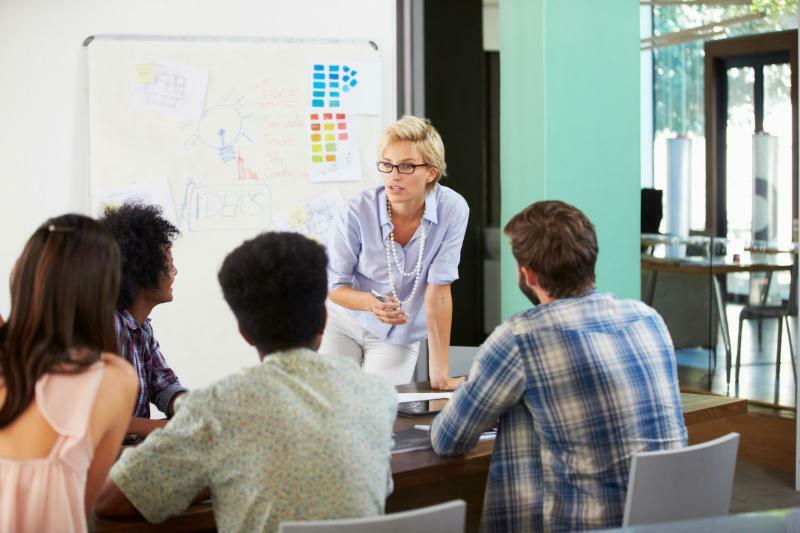 Join WIT Girls and Equifax’s Women In Technology & Business Global for a professional development workshop event to gain tools to be a successful professional while learning about careers in IT, sales, marketing and finance! Click here to learn more and register for this event! Join WIT for a screening of Code: Debugging the Gender Gap – a film that explores why women are underrepresented in tech today and challenges us to think of solutions to grow representation in the industry. Join WIT Girls for a Behind the Scenes event at EY where students will meet a panel of women specializing in a variety of IT fields within EY. Put on your engineering and science hats as we go behind the scenes with Imerys at their new state of the art Research & Development Lab. We will explore career paths in engineering and science over lunch and networking. Join WIT Campus SCAD for our first meeting as we discuss all that WIT Campus has to offer, club registration details, and much more! Food will be provided. Click here to register to attend this event! Does Dressing Down Bring the Stress Down in the Office? Does what a person wears to work really affect his or her attitude, performance, or general work environment? Furthermore, does an outfit trigger a judgment that could be detrimental in a professional environment? Maria Baranowska discusses how dressing up or down affects the worker and the dynamic within the workplace here. Last month WIT Campus had the opportunity to go behind the scenes with Cox and Turner and experience the amazing culture as they prepared these young women for the workforce. Our WIT Girls brought their A game as they pitched their startup ideas during our Sharktank at Hunter Technical! Carrisa’s passion for inspiring and mentoring young girls to pursue STEAM careers has no boundaries. Over the past years, she has impacted girls in her neighborhood, church, coworkers and even her friend’s daughters.”She is always helping people in the community to succeed whether teaching Life Builders Class for the youth at church or speaking to classrooms around Metro Atlanta. Carrisa also spends countless hours volunteering her time around the community and she doesn’t ask for anything in return. Her winning attitude inspires me and I’m thankful for people like Carrisa every day. She’s simply the best!” said Carrisa’s husband, Karvis Jones. Often times people ask Carrisa if she is a full-time WIT employee because of her daily commitment to the organization and the girls she serves. Carrisa believes this is a reflection of her personal commitment to making Georgia the state with the most women pursuing a STEAM education and career. Read more about Carrisa’s commitment to WIT here! Kati Graff, an Illinois native, graduated from Missouri State University with a BS in Communications. She moved to St. Louis, MO shortly after graduation, where she began her career in business development. She and her husband moved to Atlanta in late 2013. While working as an account manager for an IT staffing firm, Kati attended her first WIT Forum in 2015, and fell in love. It was then that she knew she would get more involved in WIT. She began volunteering at the monthly forums, and then in 2016, joined both the WIT Connect Executive Auction committee and the WIT Awards Committee. She’s constantly recruiting women working in STEAM to attend WIT’s monthly forums, and she works hard to champion for women in STEAM careers. Kati joined ETS Solutions, a telecom solutions group, in February of 2017, where she serves as Business Development Manager. In her free time, Kati can be found with her husband at a Crossfit gym or found cheering on her KC Chiefs. This workshop will demonstrate the breadth and depth of machine learning, as well as lessons learned, tips for getting started, challenges, and successes! Five people are eligible to win the scholarship and the first five people to email WIT will receive a scholarship to DataSciCon! 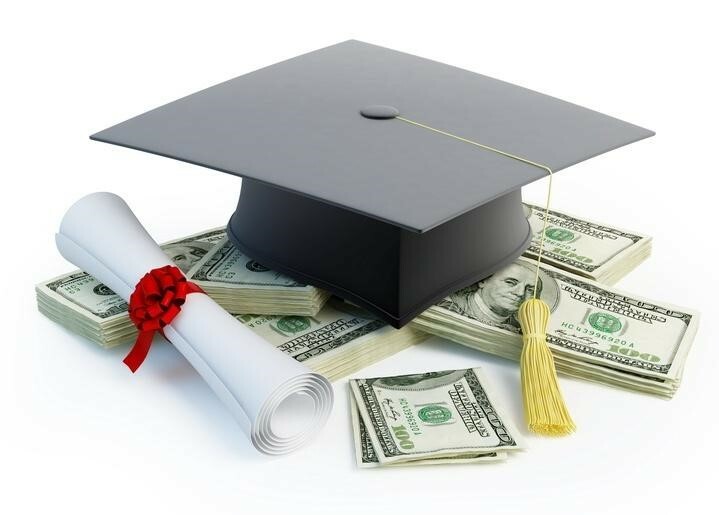 IF YOU ARE INTERESTED IN WINNING A SCHOLARSHIP, EMAIL US AT INFO@MYWIT.ORG by November 27th. Mastering the Art of Success co-authored by Jack Canfield, Les Brown, Dr. Michael McCrimmon, etc. WIT Girls Khemisha Brown was a 2017 WIT Summer Internship Program Participant. Hear more about her experience with Women In Technology. What inspires you to give back? Did you give time, donate money or share skills to have a meaningful impact with Women In Technology? Share your experience with us and the rest of the world as WIT kicks off November with a series of stories for Giving Tuesday! Help WIT make an impact and spread the word by joining the Georgia Gives Day UNSelfie social campaign! From November 7 – 17, post a photo or video of yourself and a message of support for Women In Technology to Facebook, Twitter, or Instagram. Be sure to write your message out in letters large enough to photograph, and don’t forget to caption it with the hashtags #GAgives, #GivingTuesday, #EmpowerSTEAM and #UNselfie, so we can find it. GA Gives will be sharing them throughout the month on their @GAgives social networks, extending your WIT’s message across the community! Submit your story for Giving Tuesday here! WIT JOBS BOARD – HOT JOBS! As a Software Engineer Manager, you will be given a chance to contribute to the products we create and help grow the next generation of engineering talent. In addition, you will be given the chance to work with Home Depot’s most strategic vendors to ensure that 3rd party tools and applications are readily available to all product teams that are interested in using them. Click here for the full descriptions or to apply for these positions. Cox Media Group is recruiting for their Digital Talent Program. This program is for graduating seniors and recent grads up to 2 years out of school. (Nov 6th) Roles will begin June 2018 to allow seniors to graduate and interviews will start early Spring. This is Cox Media Group’s award winning program and a great way for recent grads to advance their careers! Click here for the full descriptions or to apply for these positions. WIT’s October Forum, Disruptive Technology: Fin Tech Innovation & Trend, was a wonderful event! You will have a chance to speak with the stakeholders that make FIRST happen in Georgia – Georgia Power, Kimberly-Clark Corporation, Automation Direct, Lockheed Martin, NCR and many more. Take the time to chat with our robotics champion, Dr. Lonnie Johnson, inventor of the much acclaimed Super Soaker. And if that is not enough to entice you to drop by, they will also have food and drinks! We’re excited to share that National Geographic’s family day program in Atlanta has been extended to November 10th to 12th! This free offer is first come first serve, so register to see, JANE, one of 2017’s most astonishing documentaries. Kemet Educational Services LLC STEMport program, a program that provides support for parents of K-12 students, is launching its Kupcakes and Konvos workshop series. At these workshops , which will take place quarterly, parents will learn strategies and talk to other parents about various STEM Education topics while enjoying a delicious cupcakes! You are invited to attend a special event highlighting women in security hosted by SANS, ISSA International Women In Security SIG, & the ISSA Metro Atlanta Chapter during the 2017 ISSA Metro Atlanta Chapter’s “Paradigm of Effective Security”conference. We bring together non-profit, academia, for profit and government for learning, connections, and awareness. are engaged in STEM activities this school year. Investigate, explore and engage at Brown Middle School!